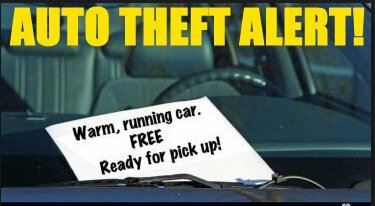 The cold temperatures have settled in to our area; and already some have fallen victim to thieves targeting running cars left unattended. Yes, even while parked in the driveway of your home and in front of the front door. “Each year dozens of vehicles are stolen in Clark County, some of those in Charlestown, when the weather turns cold and the opportunity of a unlocked vehicle running is exactly how thieves get what they’re looking for”, reminds Chief Keith McDonald, of the Charlestown Police Department. 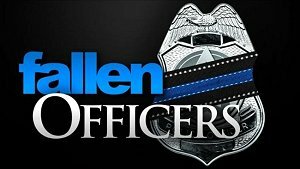 “The vast majority of these car thieves don’t have to smash windows, or anything difficult….just walk up to a car, open the car door, hop in, and drive away,” Chief McDonald explained. In an effort to reduce the number of these types of vehicle thefts, officers will drive around targeted areas to look not only for potential thieves, but victims as well. Part of the department’s plan is providing this information and reminder that it does continue to occur regularly, especially when the temperatures get cold. These types of thefts are totally preventable, as police suggest sitting in your car while it’s warming up; or at least very vigilantly stand at the front door monitoring their vehicle a few minutes for it warm up, especially when temperatures get bitterly cold. Its easy to get distracted while inside the home; however it is important to keep this problem in mind and combat becoming an easy victim. Many newer model vehicles enable warming the car with auto start while the doors remaining locked; these are ideal however not always possible to upgrade too. Knowledge and vigilance is most often the biggest crime fighting techniques for us all; for this and most crime types. For more crime prevention tips, go to www.ctownpd.com/prevention or join us for Charlestown Neighborhood Watch Meetings (www.ctownpd.com/block-watch.